Want to make cider at home? Everything you need to make the very best homebrew cider. Home made cider can be make from apples when they are is season, or from homebrew Cider Kits. 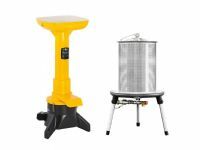 The Cider Making Equipment And Ingredients section contains an extensive range of great value equipment and ingredients for cider making. The Craft Range Cider Kits range are by far the most popular, superb quality, and great value. The Craft Range Cider kits are self contained and do not need any additional sugar. However, the other cider kits may require the additional of brewing sugar; the Other Cider Kits section contains great value bundles (Cider Kits plus any additional ingredients required to make them). To see just how easy bottling your cider should should be, have a look at our bottling video on YouTube: Bottling Made Easy. He is using a Craft Range Bottle Tree and a Craft Range Rinser. 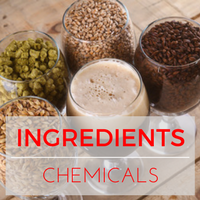 If you use these with Chemipro OXI, then you don't even have to rinse the bottles! When you buy a Craft Range home brew kit, you can select bundle options to get all of these at close to a third of the normal price. Massive range of fermenters from 5 to 100 litres and accessories for them, includes the FastFerment range. Huge range of demi-johns, carboys and accessories for them including airlock, bungs etc. 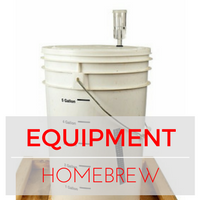 Widest range of homebrew bottles, PET, swingtops, growlers, Bag In Box (BIB), vinotainers and accessories. Wide range of all things for testing including some unusual ones like hydrometers with built in thermometers for temperature correction. Widest range of cappers and caps for bottling homebrew beer.